Electrical engineering Professor Meng Tao has been awarded the 2017 Fulbright Distinguished Chair in Alternative Energy Technology, which will take him to Sweden’s Chalmers University of Technology over the 2017–2018 academic year to study solar-powered charging for electric vehicles and solar module recycling. Photo courtesy of Meng Tao. Though Arizona State University is committed to sustainability and renewable energy, weaning our civilization off fossil fuels and combating our changing climate is a much larger issue than the university can tackle on its own. Creating a truly sustainable world will take a global collaboration from researchers. Electrical engineering Professor Meng Tao is one such researcher. He’ll take his solar energy expertise to collaborate with Swedish researchers as the 2017 Fulbright Distinguished Chair in Alternative Energy Technology. As part of this $125,000 estimated package that includes a monthly allowance, housing assistance and airfare, Tao will work at the Chalmers University of Technology in Gothenburg, Sweden, for the 2017–2018 academic year. “I hope to exchange ideas with my Swedish colleagues, to learn from one another, to stimulate new ideas and to facilitate long-term collaborations on some of the most pressing energy issues we are facing,” Tao says. Tao is one of 45 Fulbright Distinguished Chairs awarded in 2017 to top scholars with exemplary teaching and publication records, many of whom are in the social sciences. The position is considered one of the most prestigious Fulbright Scholar Program appointments. Douglas Cochran, who served as 2015 Fulbright Distinguished Chair in Science and Technology at the Australian Department of Defence’s Defence Science and Technology Group, says Tao’s appointment reflects favorably on ASU and the Ira A. Fulton Schools of Engineering. 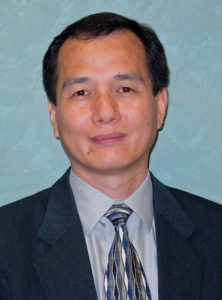 “The Fulbright Distinguished Chair in Sweden will provide Professor Tao with an excellent platform for building a new base of international collaborators, affecting not only his own scholarly and educational activities but potentially extending to enduring ties between his broader circle of ASU and U.S. colleagues and their counterparts in Europe,” says Cochran, a fellow faculty member in the School of Electrical, Computer and Energy Engineering, one of the six Fulton Schools. 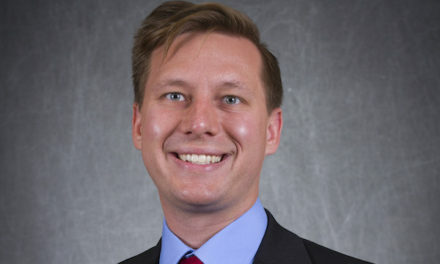 Tao’s research during his Fulbright Distinguished Chair appointment focuses on two areas: charging electric vehicles with solar energy and making solar modules more sustainable through value-added recycling. Since the electric grid is largely powered by fossil fuels, Tao says electric cars lose their environmental benefit if they’re charged through the grid, but solar may hold the answer to this problem. With the potential for more solar photovoltaic systems in place for charging electric vehicles and other uses, Tao hopes to make paying for photovoltaic module recycling more attractive. 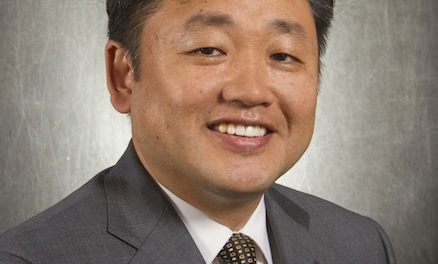 Tao, who is also a senior sustainability scientist at ASU’s Julie Ann Wrigley Global Institute of Sustainability, is looking forward to connecting the work done at ASU with that of Chalmers University of Technology. For one week during Tao’s stay, one of his students will visit to help introduce the Fulton Schools’ work in these areas. Sweden’s Chalmers University of Technology is an excellent fit for Tao’s Fulbright research proposal, especially the Swedish Electromobility Centre, a national Center of Excellence for hybrid and electric vehicle technology and charging infrastructure, and the Chalmers Competence Centre Recycling. He hopes to spread knowledge of solar technology scalability and sustainability issues beyond Sweden to other European Union countries as well. Beyond the engineering issues, he’s looking forward to learning about his new host country. He also finds it interesting to be a representative of the United States in a new country. First things first, Tao says, is getting ready for the Swedish climate.